You are right! There's a 'Give Way' ("Yield" in America) triangle in the right lane and the bollard has no keep left arrow. I missed that, must be an age thing as I have just passed another birthday. The plans look fine but there's no parking for the building. As a town planner I would like to see purchase of adjacent properties to provide parking. It looks out of place now, "orphaned", since everything around is all brand new! The St Petersfield development specifically and the Magistrates Court. I'm all for keeping buildings of historic and architectural interest. The other one is the Ashton Baths built by Hugh Mason. I see that building as a landmark and of great historical interest of life in the nineteenth century. However, what possible use can there be for a building that enormous in the 21st century? Just now the Tate Modern popped into my head. It would make a great gallery for the arts. Trouble is, there's no money for that kind of thing. I don't think there's enough support either to warrant that kind of expenditure. These things in the past were always privately funded. Mason, Heggingbottom et al. and their philanthropic contemporaries were who supported the arts. So there stands this iconic landmark which no one has any use for. 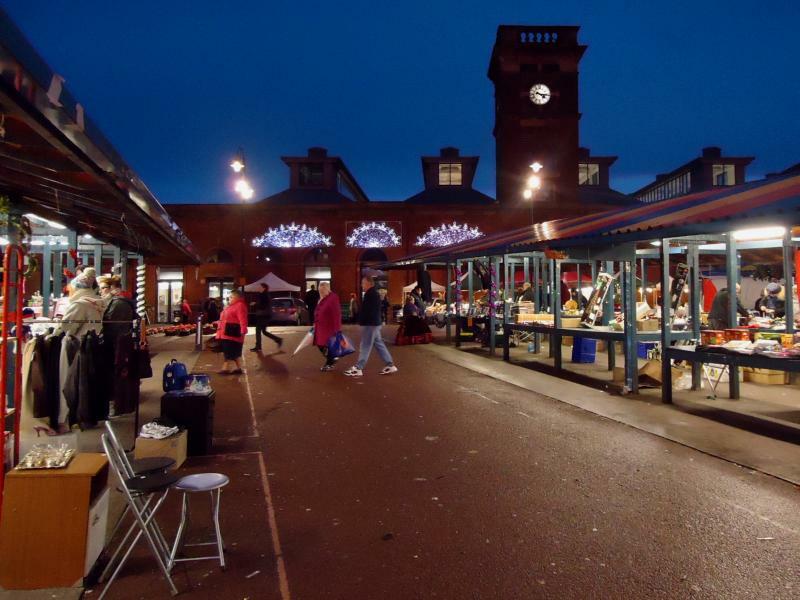 There is a huge car park just a few yards away next to the Old Baths for the use of people visiting any of the various buildings in the area. I thought that car park was a permit only one for the workers in the offices. Nechells in Birmingham had a similar redundant swimming baths. The Friendship Inn can stay, as long as they make it look new, as the plans indicate. Good article on the Neschel Baths, seems like a way forward. Interesting about those sunset times, Four days where they are the same. In Toronto .ca. sunset are same for 2 days.It's an impossibility but it means splitting hairs with time. Same as midday,it has to peak before descending,splitting hairs again. 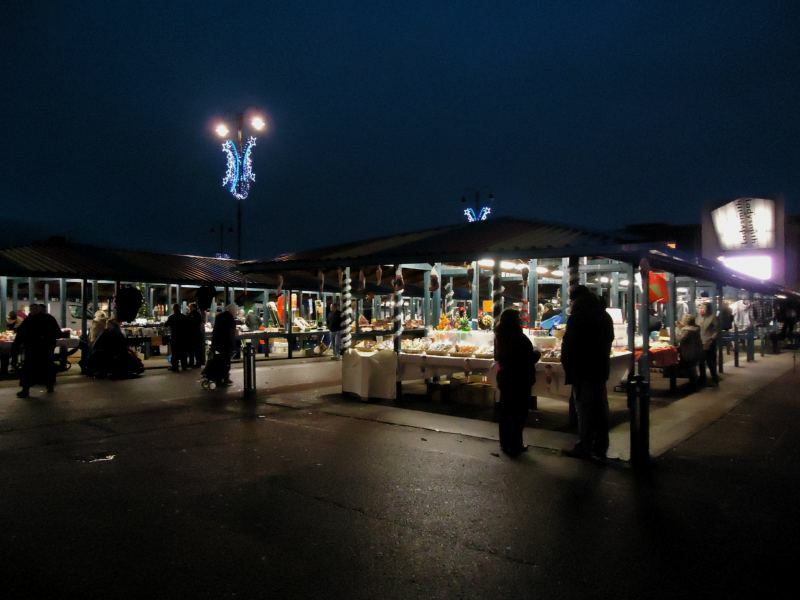 Please note, this is not the usual market - the regular traders have gone home and other traders are getting ready for the evening Christmas market to tie in with the late opening of the shops on Thursday.